When it comes to questions specifically about Christianity, Mormons scored the highest at 7.9 correct out of 12, and white evangelical Protestants were second at 7.3 correct answers. Jews and atheists/agnostics fared the best on questions about other world religions. So, what do all these statistics say about our country and our churches? First, I believe we can see that though the people of America claim to be very religious, much of that “religiosity” is merely cultural and not truly real. The study demonstrated that those with higher educational backgrounds answered more questions correctly. Therefore, it was mostly an intellectual knowledge that drove their answers rather than a personal, intimate belief. Second, I believe it shows that the average church member does not fully know what it is they claim to believe. Now, this should not be taken as a blanket statement for all church members in all churches. However, I believe that every pastor would say that their people could stand to learn more about doctrine, the Bible, and what they believe. Third, I believe this survey demonstrates the need for Christians to know and understand the basic beliefs of other world religions. Gone are the days when the vast majority of the people in America would label themselves as Christians. The United States has truly become a melting pot of religions in the last few decades. Thus, if Christians are going to share their faith with their neighbors and co-workers, they will likely need a working knowledge of religions such as Judaism, Islam, Buddhism, Hinduism, and even the philosophical worldview of secular humanism. There is a great need for our churches to teach apologetics and how to share the gospel with people from other world religions. A personal example of this for me came several years ago on a trip to NYC with one of my seminary professors. We were walking through the city when my professor spotted a man dressed rather unusually. He obviously saw this as a teaching opportunity for the students. We walked up to the man who was managing his small storefront on the ground level of an office building. My professor began a conversation with “I see by your dress that you are a Sikh.” The man immediately looked up and asked my professor how he knew that. The prof then described his clothing and how that tipped him off as to this man’s religion. At that time, I had no idea how to decipher that from his clothing—I just thought he dressed strangely. However, that brief interaction about the man’s clothing opened up an opportunity for the gospel message to be shared. The church in America has a great task ahead of her. We need to teach our people the Bible, doctrine, theology, and even some history. The average church member needs to know the basis of their faith. We must remember that “all Scripture is inspired by God and profitable for teaching, for reproof, for correction, for training in righteousness; so that the man of God may be adequate, equipped for every good work” (2 Tim 3:16-17). Therefore, let us teach the whole counsel of God. May we not be found ignorant of our faith, but may we always be “ready to make a defense to everyone who asks you to give an account for the hope that is in you, yet with gentleness and reverence” (1 Pet 3:15). Next ›Why Ethics as Worship? Well . . . there’s certainly nothing I can add. This a very interesting post and sadly, not at all surprising. It is so easy for us to fall into believing certain myths like “the Bible can’t be taught in the classroom” or to go on with our religious lives without ever knowing who Martin Luther was. Education in the faith, sadly, has not been on the forefront of Christianity. And neither has learning about other beliefs or other religions. We like to learn our favorite verses, disagree with the Muslims just because we’re supposed to, and expect everyone to know what we’re talking about when we say we want to share the gospel. I realized a couple years ago, though, that if I’m not willing to take the time in understanding someone else’s beliefs, why should they take the time to understand mine? Great post and congrats on making Freshly Pressed! I find the results of this study sad but not surprising. There is not enough thinking, questioning, or learning in most church communities today. It seems like a lot of religious leaders, especially Christian ones, tend to discourage their congregation from exposure to thoughts and perspectives other than their own church’s particular interpretation of the truth. I think that’s a horrible approach. What are they so afraid of? If people know what they believe and have a good basis for believing it, their faith will not be shaken by reading or hearing other ideas and views. Keeping everybody in their own little ignorant cocoon is not the right answer. This is a wonderful post and outlines my problem with the way we do Christian education in churches – we rely on a myopic view of Scripture and then create the fear of secular attack to insulate students of the Word against outside influece. I think that makes them less able to be an influence on the world as a whole. Wow. Really interesting and sad that people can be so ignorant. I agree with you 100% about the church. And with Cara’s entire comment. I went to grad school, I studies life on the microscopic scale, and I went to church, and remained faithful all through the years. I am more or less a lapsed catholic, but still I think I know more about my beliefs, than many of my fellow catholics. I am a scientist, and I am also a christian. I do not, cannot separate the two, and I think there can be harmony between them (some call me a heretic for saying this). I cannot begin to understand why so many people I know are against learning about other religions, and their beliefs? It’s like Cara says, the more you try to keep yourself in a little cocoon, the more ignorant you are. I was like that when I was in middle school. But I didn’t know much about the history of Christianity or the history of the Bible. The more I learn, the more my mind opens, and the more I feel free to debate with respect with other believers. Some of my Muslim friends are surprised of the things I know about the Islamic faith, thinking that because I am a Christian I am easily swayed by what the leaders of X or Y church (or news network) say. I love to think for myself, and seek information, hence why if a leader of the church says that it is incorrect (I’m not saying they do, but with Benedict, who knows) to interact or attend a service of another Christian group I disregard it. Why? Because I feel in my bones that my relationship with God is a personal one. I do not need, nor want others to dictate how I think, dress, or worship. Hence why I indulge in reading and searching and understanding how others believe. And you know what? It has strengthened my faith in God. This is a great post. Thank you, thank you, thank you. I accidentally commented on your other post, rather than this one, which I read. What a day! Before I became a school teacher I was in the ministry for 20+ years. I can say with certainty that your information is correct. I have been amazed over the years to observe how little knowledge people possess when it comes to an important world-view-altering thing like their religious faith. If I were still in contact with my former minister compatriots, I would immediately send your blog address to them. I am pretty sure that the reason people think the constitutional restrictions on religion and school are more stringent than they really are is because school districts themselves have adopted more stringent rules. School districts have decided that the best way to deal with the issue of not favoring one religion over another is to simply ban religious expression fromt the schools rather than using it as an teaching opportuity to give students a basic understanding of various religious thought from around the world. This ties in directly with the fact that Americans who attend church know less about other religions than Americans who do not attend. Church goers are more likely just to know what they are exposed to in their particular churches while non-church goers are more likely to study on their own and be exposed to more variety of thought. In this country, it benefits non-Chirstians to know enough about Christians to predict how the general American public is going to end up dealing with them. There is nothing scientific about my thoughts here. This is just what I’ve observed in my own life and dealing with people. I am glad your post was Freshly Pressed and that I was reading here today. I must check out Freshly Pressed more often. You have unveiled a real dilemma that we who call ourselves believers must correct. I personally know very well what I believe. I know the Bible well. I began blogging recently and am realizing that the Internet is global and I need to know more about other religions. I know something about most, but I would like to know more about them. I hope I can find this exposure by using Google’s search engine. While what you say is true, that people need to know more about other religions, it is even more important that people know exactly what they believe and why they believe it. I think this is where you drew the conclusion that many of the people surveyed who called themselves Christians were speaking culturally and not experientially. This conclusion is obvious. Thank you for sharing this information. You have inspired me to do some research. Although I don’t intend to argue religion with people of other beliefs, I want to know what drives them. It only makes sense to understand what others believe if one wishes to influence them and to know how to pray for them. Thanks, this is exactly what I’ve been looking for ever since I first heard of the survey results. Sad, but true. Our church began offering The Theology Program courses (http://www.reclaimingthemind.org/?page_id=11) a few years ago, so that we could go deeper into why we believe what we believe. I think it would be wonderful if every Christian church would offer these courses. I agree that we should also have a working knowledge of other religions to help aid in our efforts to share the gospel. Once I’m finished with the TTP courses, I plan to find resources to learn about the other religions. Excellent points. I was thinking along similar lines when I read the article when it published. So sad that in this shrinking world we make so little effort to really understand each other. Perhaps if we did conflicts would decrease. I’m a Mormon and am a little embarrassed that our sample didn’t do better. I could do better. I am mormon but live in a predominantly Catholic/Protestant area. From my discussions with friends and neighbors I would say that this survey is accurate. Something that works well for mormon religious instruction is our seminary program for youth ages 14 – 18. I attended early morning seminary at my local church and had religious instruction from 6:30 am to 7:30 am every day before attending public high school. We also have institute programs near many US Colleges that offer religion classes and fun activities for young adults ages 18 – 30. Maybe other Christian churches could add daily religious courses as part of their youth programs as well. I found this survey disheartening too. Thanks for posting your thoughts about it. I’d thought about posting about this topic as well. Now, I might just post a link to yours! As previously noted, it is a sad state, yet not surprising at all. To me there seems to be a lot of ‘following’ of the christian faith and less so studying and learning about the Christian faith. Christianity isn’t label we put on because it is expected of us, it is lived through our actions. Excellent post. Congrats on being freshly pressed. excuse my typo on “Freshly Pressed.” Again a great article, worthy of a reprint in a national publication. We Christians are lazy and interested more in how we feel than what we know. Other religions are strongly motivated to learn and grow as they believe it to be a key to their salvation. So, what is the next step? I would think this would inspire churches across our nations to have special study groups and delve deeper into learning about other religions and history of the Christian church and deepr knowledge of the Bible. As a member of my church’s board, I know I am going to suggest it. Excellent and informative analysis in your blog! You have a great style of writing and I will for sure come back for more! You did a nice job of summarizing the latest Pew Forum report. I agree wholeheartedly with learning as much as possible about the world’s religions. With understanding, comes greater respect, unity and enlightenment. I hope the public will also add Mormonism to your suggested list of “working knowledge of religions”! Thanks for the comment. As a professor, I want my students to know various world religions and their doctrines so they can understand the beliefs of people with whom they come into contact. Mormonism is one of those that we need to know about (I just simply overlooked it in my list). I have taken students on a few occasions to meet with Mormon missionaries to talk about the differences between Mormonism and historic Christianity. I have one point of departure with your comment. Yes, learning about other religions can bring understanding and respect. However, I do not necessarily believe it will bring unity and enlightenment (depending on what you mean by enlightenment). Even in our syncretistic society, we can recognize that many of the world religions are mutually exclusive–they cannot all be true. Thus, my goal is teaching my students and the people in my church about the various world religions is so that they will be better prepared to present the offer of salvation by grace through faith in Jesus Christ to these people. I read that yesterday on Yahoo. Wow, you’re gutsy in discussing faith and religion in an open forum. Those who want to know will learn, those that are forced won’t. Those with other ideas won’t either. You can take a person to church, but you can’t make them pray. Religion isn’t what it used to be. People are thinking for themselves. Most kids I knew growing up only went to church because their parents made them. Those same kids these days could care less about church or religion. This is true. Many of my peers don’t have any personal convictions of their own but adopted what is said in church or rules set by their parents. They could not give an answer for why they do what they do and have any Biblical support for it. I believe the survey demonstrates that atheists know what they’re talking about. While I agree that it’s terrible that Christians don’t really know what we believe, much less why we believe it, I think there are 2 comments you made that are worse. 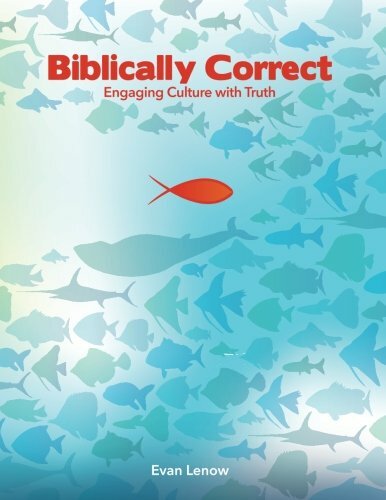 It is imperative that we know the information of the Bible as well as other religions, else we tend toward being offensive rather than effective in sharing the gospel. But it is equally imperative that we not forget the Lord of the Bible whose love it is we’re to be sharing. oops, I misquoted… you said “religiosity” rather than Christianity, but I think that the statement holds true for many people who say they are Christians as well. Wanted to clarify. Let me clarify what I meant. I believe that many Americans who claim to be religious make that claim from a cultural religiosity rather than a personal conviction of faith. And their answers to these questions, again, came from an intellectual knowledge rather than a personal conviction. Our faith should drive us to learn more about God (and by God, I mean the God of the Bible) and grow in our relationship with Christ. That relationship should then also drive us to share God’s love and great news of salvation to the people all around us. EXACTLY! I was totally agreeing with you. Just those 2 statements were the saddest part to me… maybe I didn’t say it right. sorry. People need to learn what they believe? does that make sense? Certain passages from the Bible were required reading for my AP English class, and my high school offers a Comparative Religions course. At first I was appalled that the Bible could be taught in the classroom, until I realized that the Bible is a piece of literature, just like Greek mythology is, and to truly understand English literature, you simply have to know the Bible. I’m not religious personally, but religion fascinates me and I love learning about what different people believe. I also completely agree that no matter what your faith, it’s so important in the modern world to have a respectful understanding of religions other than one’s own. When hateful acts against other beliefs take place, as they have been recently, it shows me that our country is especially in need of a more holistic religious education. As a Christian living in the Middle East, I find this topic extremely important. Many of the churchgoers here do not know enough about Islam to properly share the gospel with Muslims and others are so into interfaith that they don’t think they even need to! There is also the incorrect assumption that Roman Catholics are Christians which is a whole other can of worms. 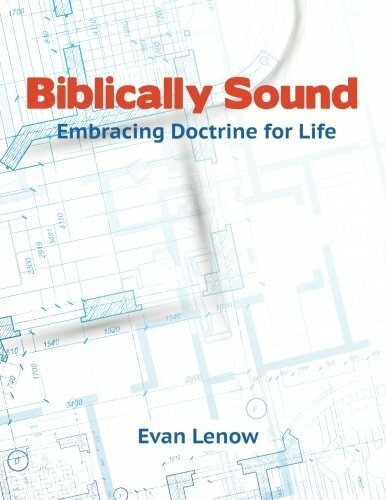 Doctrine IS important and it is important to know why you believe what it is you believe. Anyway, sorry for rambling. I just loved reading your post! Great post. There is nothing scarier than a person who knows he’s right about things he knows nothing about. My testimony is not one of intelligence, but of neediness. What good has my knowledge brought me other than to discover new ways of justifying my disobedience to God? Peace to you and all who read your blog, and blessings in Christ Jesus. Funny I should stumble upon this immediately after watching a documentary on the Buddha. On some level all Christians are called to be teachers of truth, and I agree that a teacher of truth should fully understand not only his own beliefs but also those of others as such knowledge can open the door to share more truth. Blind belief has nothing to do with knowledge. I thought we knew this? It infuriates me when I know more about people’s religion when they try to convert me.